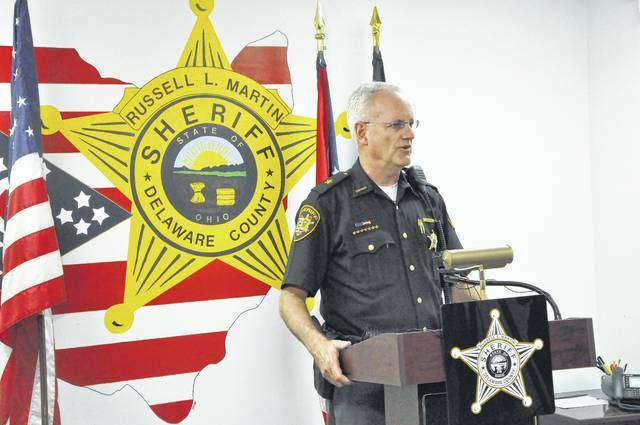 Delaware County Sheriff Russell Martin gives a press conference Wednesday afternoon. Martin said the Bureau of Criminal Investigation is investigating the officer-involved shooting that occurred Tuesday at Tanger Outlet. He said the sheriff’s office will fully comply with the investigation. An investigation is ongoing after a deputy shot the tires of an accused shoplifter’s vehicle at Tanger Outlet Mall Tuesday night. Delaware County Sheriff Russell Martin said that just before 8 p.m. Tuesday, the sheriff’s office was contacted by an employee at OshKosh at Tanger Outlet, who reported a woman had just left without paying for items. Martin said Deputy Josh Clarke, a member of the sheriff’s office’s new bicycle unit, located the woman and commanded her to stop, but she ignored him. 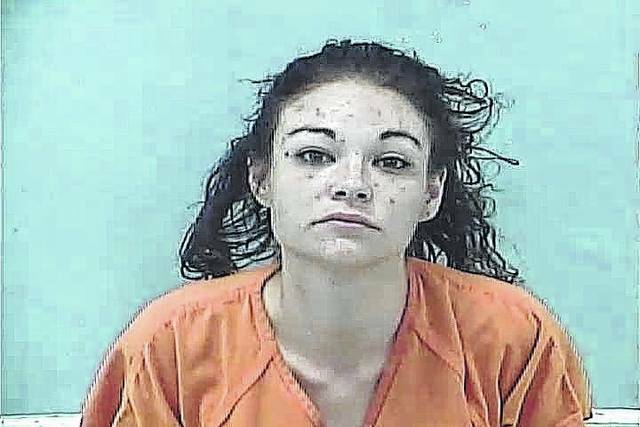 Martin said the suspect, Alana Marie Hissong, 28, of Blacklick, Ohio, put her vehicle in drive, knocking Clarke off his bike. Martin reported that at that time Deputy Alex Richison was also responding to the incident on foot. Martin said Hissong began driving her vehicle towards Clarke and Richison and said that Richison believed he was in danger and discharged his firearm at the vehicle. Richison’s shots did not hit Hissong, Martin stated, but did deflate the vehicle’s tires. Hissong was charged with robbery and failure to comply. Martin said Hissong was also charged with OVI, failure to yield, driving under suspension, and driving without a seat-belt. Hissong appeared in Delaware Municipal Court via video conferencing from the Delaware County Jail and had her bond set at $125,000 by Municipal Court Judge Marianne Hemmeter. Martin said Clarke suffered minor injuries and said Richison was not injured in the incident. Martin said the footage from the deputies’ body-worn cameras has been turned over to BCI. Martin said the sheriff’s office would be investigating the theft and said the Ohio State Highway Patrol is investigating the crash. Hissong remained in the Delaware County Jail Wednesday. Glenn Battishill can reached at 740-413-0903 or on Twitter @BattishillDG.